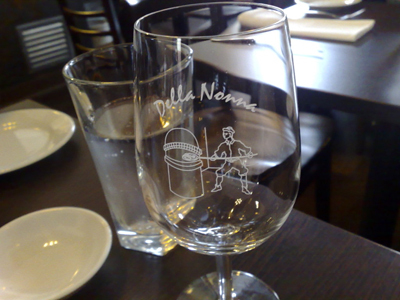 It's a cold and rainy day and a good time to check back in at Della Nonna. 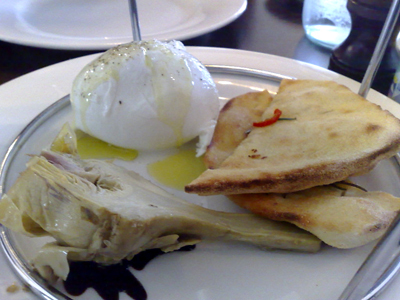 We begin this time with Shaw River Buffalo Mozzarella served with a preserved artichoke half (that sits on a thick balsamic vinegar) and pieces of a simple chilli spiced focaccia. 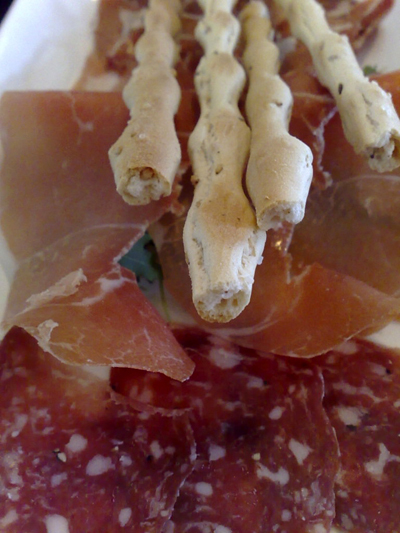 and a platter of assorted cured meats - capicollo, prosciutto, salami served with grissini. 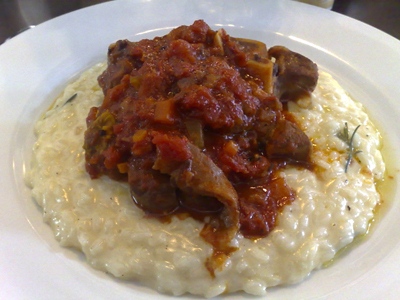 I have the osso buco with risotto - a lovely cheesy creamy risotto that is topped with a deliciously tender piece of osso buco. 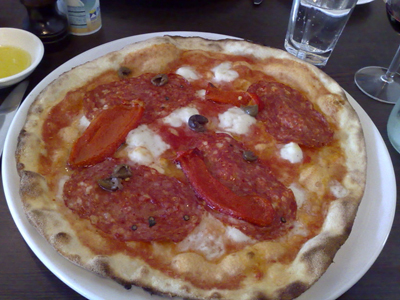 and Paalo has the pizza with spicy salami, sliced olives, roasted capsicum and bocconcini. A lovely thin base is easily one of the best you can find. If you can't fold your pizza it is not a pizza. 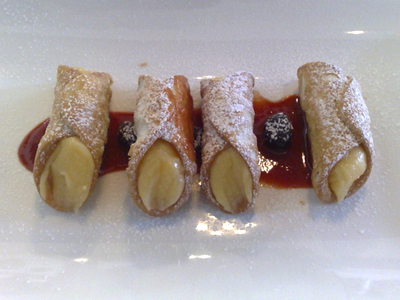 I have the mini cannoli filled with limoncello cream - filled to order these are light and crisp. 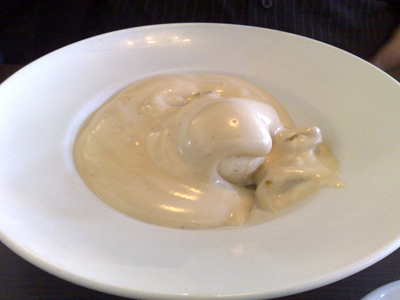 Paalo has the kitchen's least favourite dish, zabaglione - and yes it is also whipped to order and poured at the table from its copper bowl.